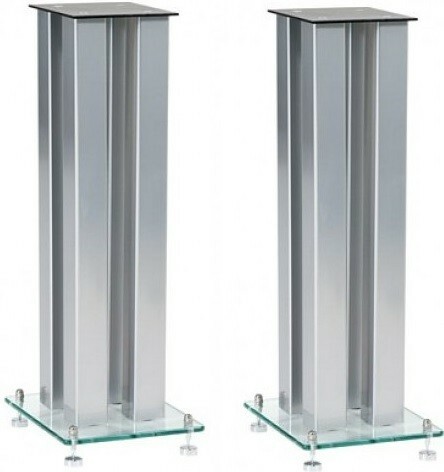 Beautifully handcrafted by Custom Design's expert team, these speaker stands are available with steel or hardwood columns and offer superb anti-resonance qualities. Earn 246 loyalty points when you order this item. - Base plate dimensions: 220 x 260 x 5mm (Acoustic Steel). - M8 Zinc plated base isolation spikes supplied as standard. 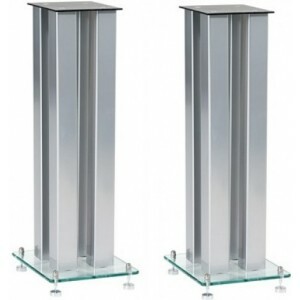 Custom Design SQ404 Speaker Stands (Pair) are a sleek and sturdy design, available with solid hardwood or steel support columns, with a height of 24". The SQ404 showcases 4mm inert acoustic steel top combined with 5mm inert acoustic base plates alongside zinc plated M8 fixing bolts. This design combination delivers complete rigidity for acute security and improved sound performance. As you would expect from this respected company, the hand polished plates embody the brand's intricate attention to detail. If you choose a wood finish, you can take advantage of the vibration damping qualities of natural wood. Alongside this, Custom Design ensure that all their wood is responsibly sourced. The superb design combination of inert acoustic steel top and base plates dramatically minimises resonance vibration and its accompanying noise. As a result, you can immerse yourself in the improved sound performance of your speakers, free from irritating noise.